Looking for math enrichment activities? 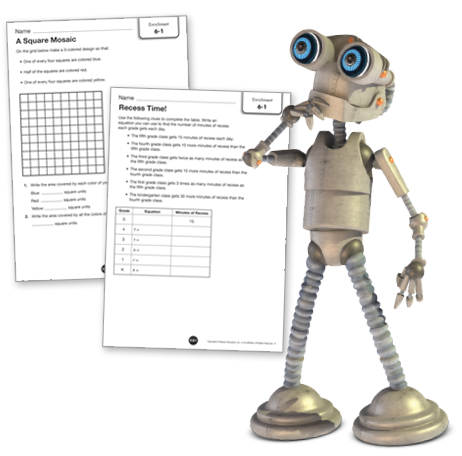 New enVisionmath2.0 Enrichment Resource Masters provide more challenge and engagement for advanced math students and “fast finishers.” One page for every lesson, the math enrichment activities support problem solving, reasoning, measurement and data, and operations and algebraic thinking. Take learning to the next level. Math enrichment activities help advanced learners and “fast finishers” dig deeper into the lessons you’re teaching. Math enrichment activities are available in English and Spanish. Challenge students in the language they understand best, or encourage bilingual learning. There’s no need to search for the right math enrichment activities or create your own. 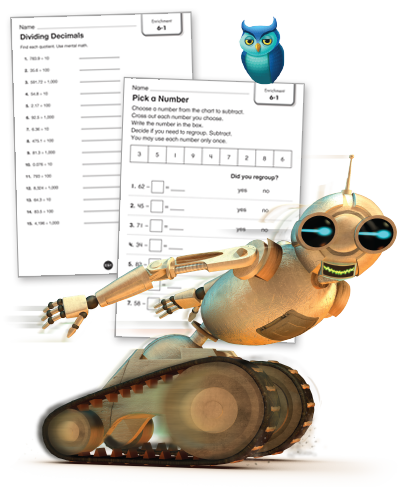 Enrichment Resource Masters support every lesson in enVisionmath2.0 Common Core.